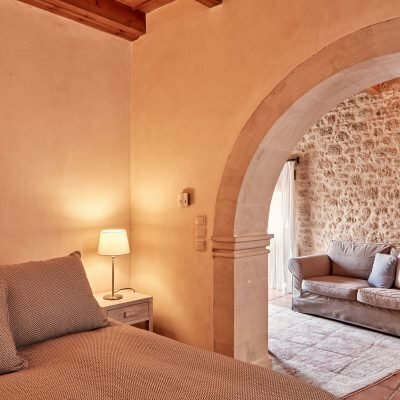 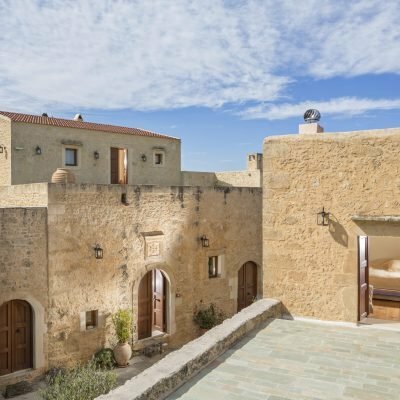 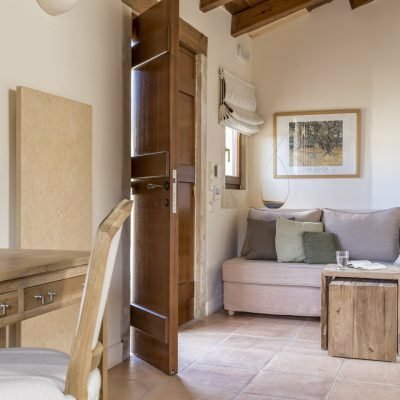 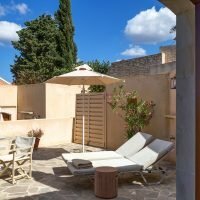 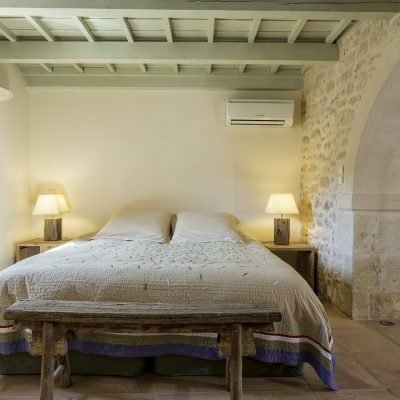 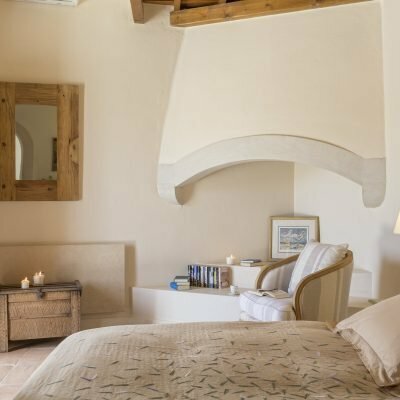 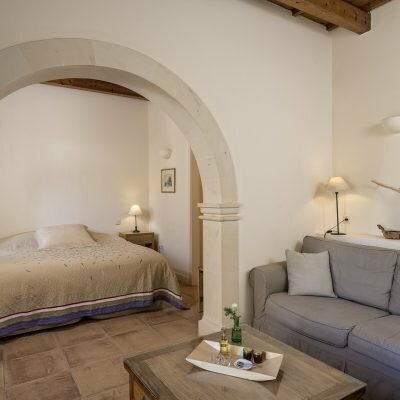 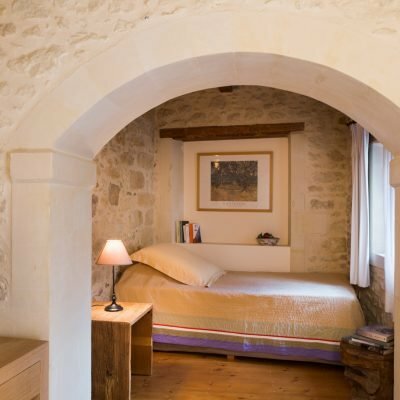 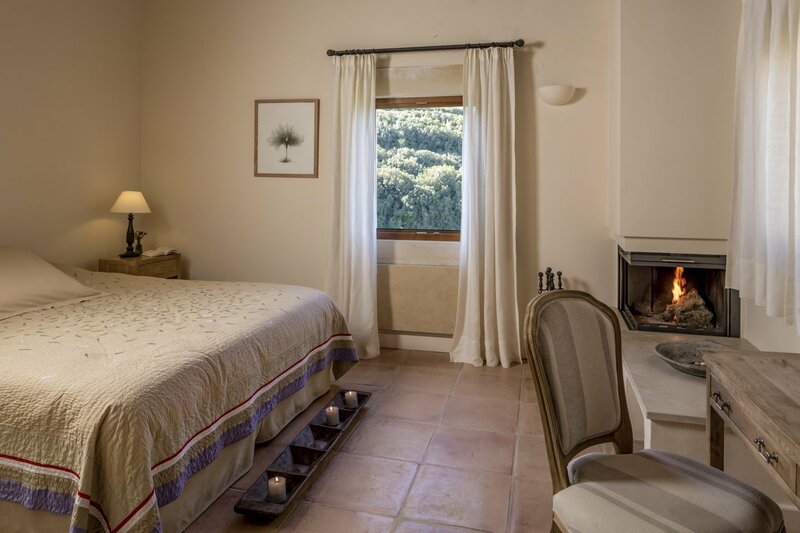 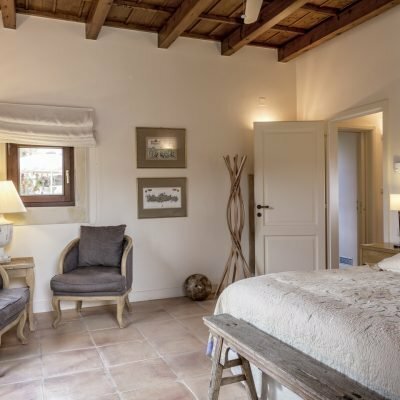 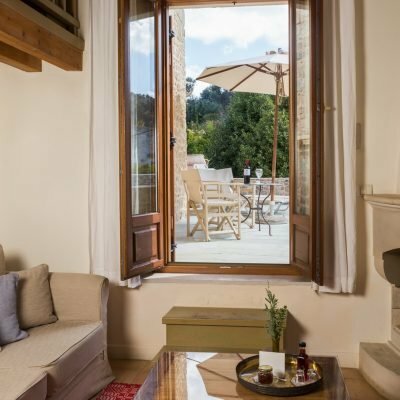 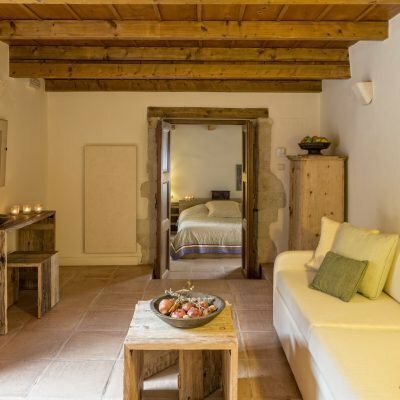 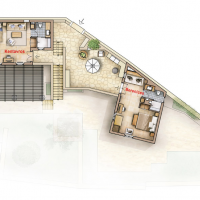 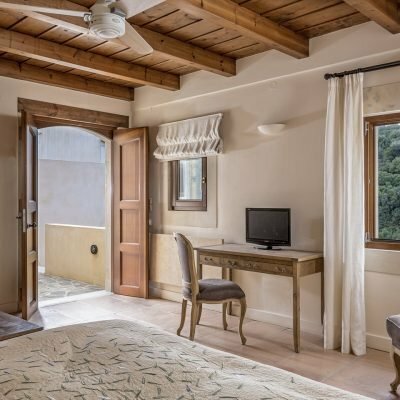 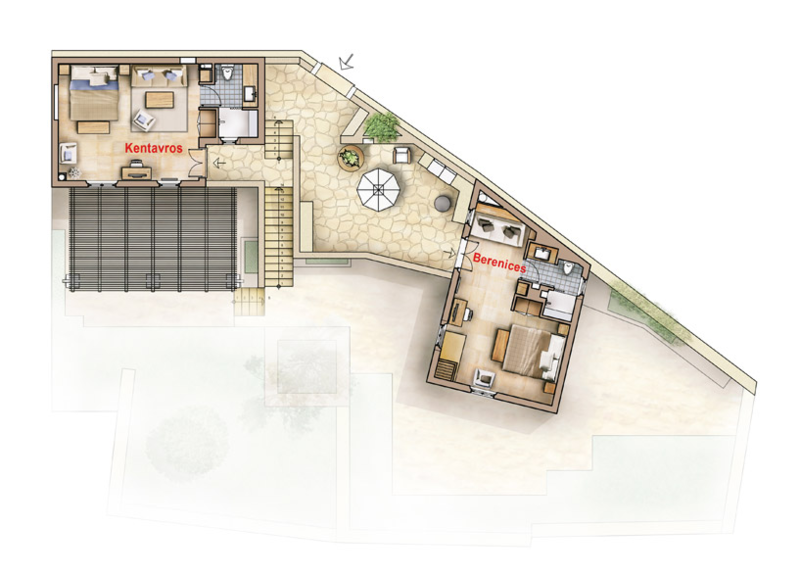 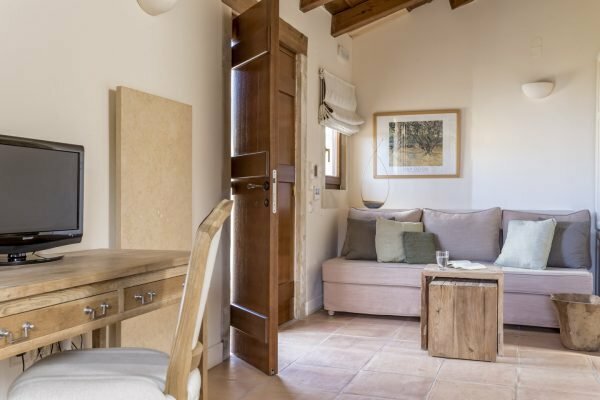 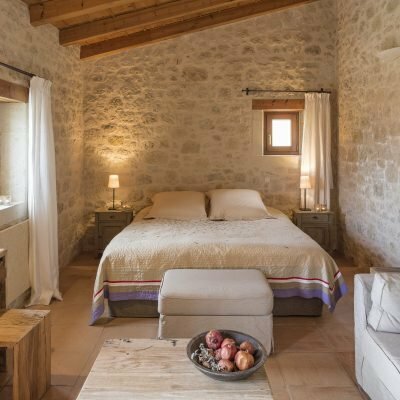 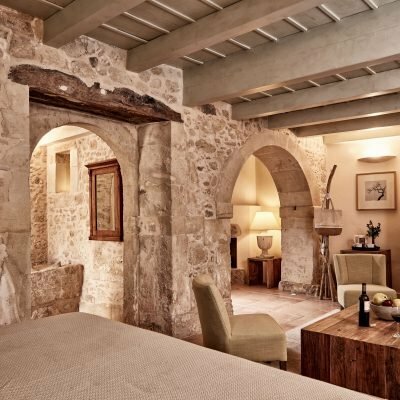 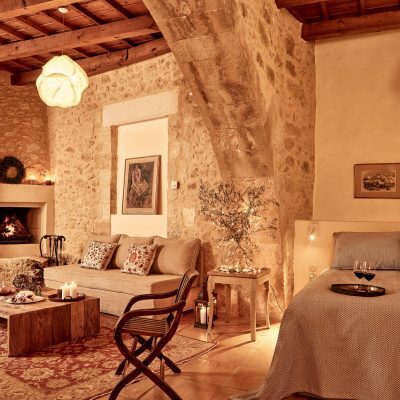 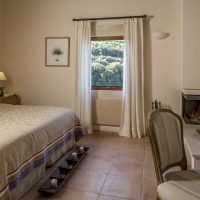 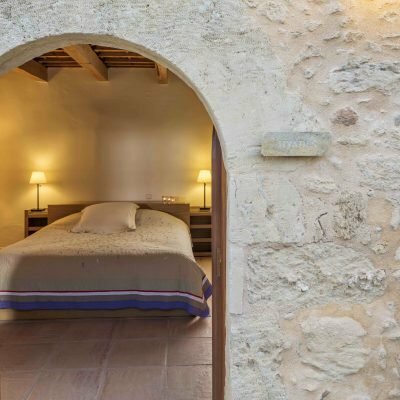 “Berenices” is a superior double room with a double bed or twin beds, a small sitting corner, where a sofa bed can host an extra person, and a fireplace. 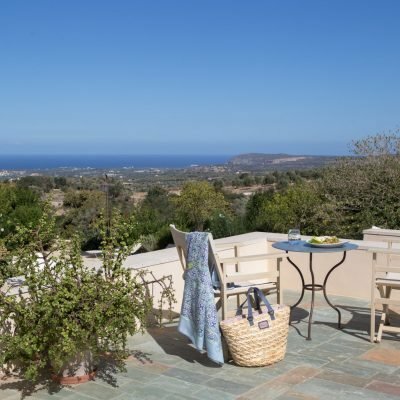 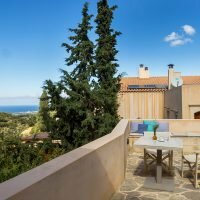 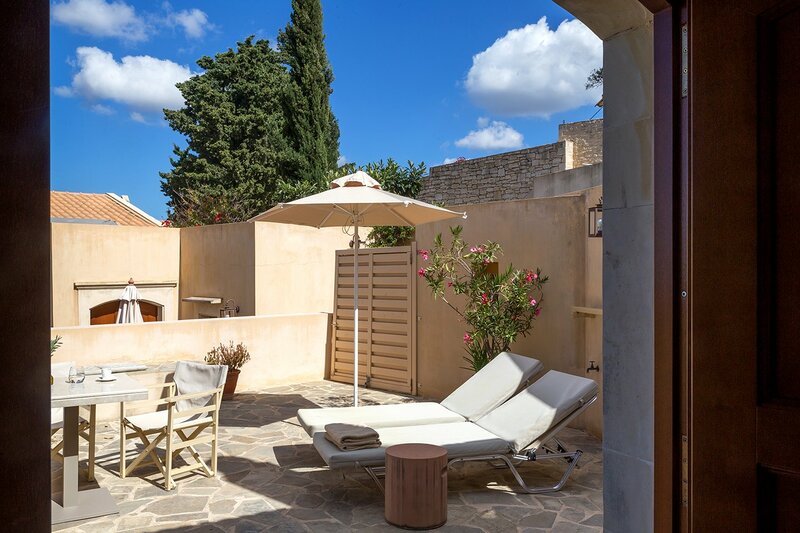 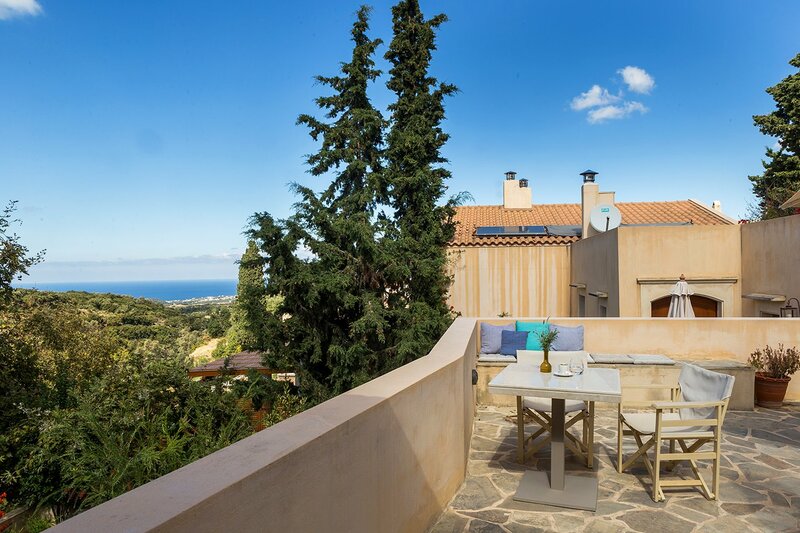 The private terrace offers a lovely view over the lush western side of the village and the sea. 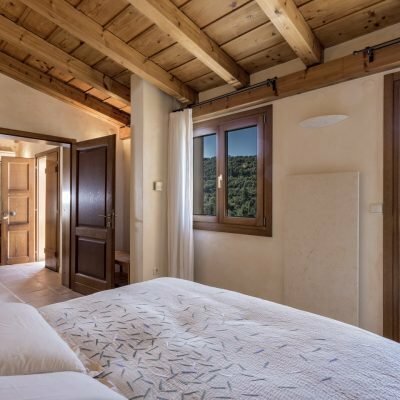  The room is located on the first floor of the complex. 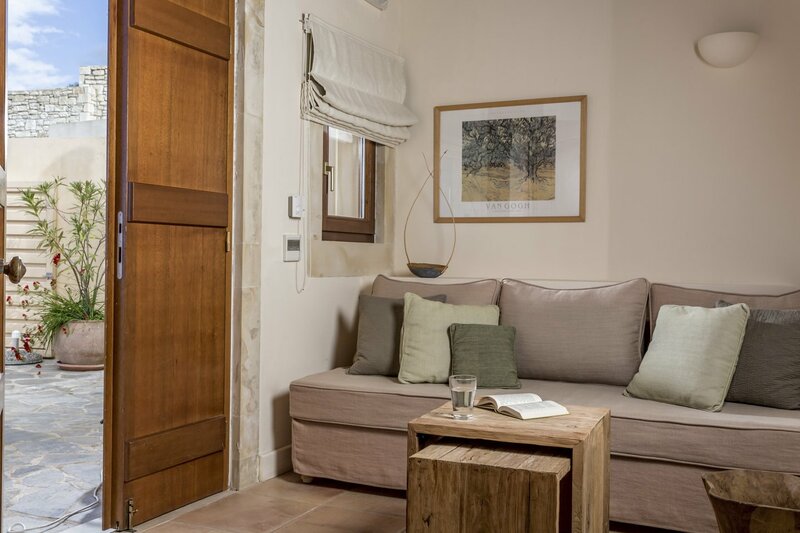 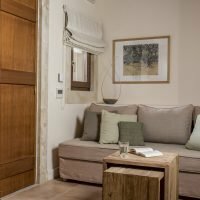 Capacity: The superior double room “Berenices” can host 2 adults and 1 child or an extra adult on the sofa of the living room corner.